The Greatest Marketing Strategy Question: Inbound or Outbound? Marketing strategies are interesting. The fact that drafting an approach is a volatile task allows for a variety of options that B2B telemarketing companies could follow. There is simply no linear formula to follow as there are two vital forms of marketing which you can pursue, inbound and outbound. For a campaign to earn its success, it is important for a business decision-maker to know which method would prove the best. Would you use the inbound techniques in SEO and social media, or would you put more focus on the outbound methods of traditional advertising, direct mail and phone calls? Cost Efficiency. Gauging the success of a campaign should also be reflected in the ROI. And profitability is too dear to lose. Nowadays, companies are making great strides by engaging communities through blogging and social media platforms such as Facebook and LinkedIn for lesser costs compared to using traditional media. And once you have established an online presence, customers may contact you for more information on your offers. Content Engagement. Once you get your message to your audience, there is no telling how well the message is absorbed. Both inbound and outbound marketing suffer such uncertainties, rendering ROI forecasts difficult if not ambiguous. With this in mind, you would have to churn out quality content. Whether designing an engaging blog or starting a direct mail campaign, one must not neglect that content is relative to sales volume. Market Diversity. The challenges faced by B2B and B2C marketing lies in the diversity of business prospects. The reality is that there are as many kinds of consumers as there are marketing strategies. And it does a great service to know your targets well. In this respect, businesses must attend to pertinent data on their target demographic. It is easy to assume that tech-savvy individuals who spend a large slice of their daily time blogging and accessing their social media accounts can be easy pickings for quality online content. But then again, one should also consider people who are less exposed to inbound messages. For this, PR activities and trade shows can be employed to reach out to a wider audience. We can see that inbound and outbound marketing seem to oppose each other. But in many cases, they go hand in hand. Businesses must make use of the advantages of both methods in order to expand their reach. For example, a business may send direct mails containing links to the enterprise’s blogsite and social media pages. Freebies and discounts can be offered once the recipient agrees to subscribe to a regular newsletter or supply contact information for potential offerings. Integrating the two will prove to be indispensable in translating marketing leads into actual sales. 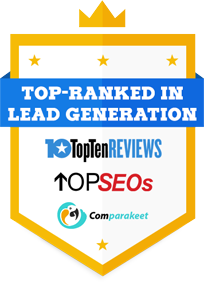 admin https://www.callboxinc.com.au/wp-content/uploads/2019/01/callbox-logo.png admin2014-09-10 07:30:502017-04-18 07:50:51The Greatest Marketing Strategy Question: Inbound or Outbound?